I seem to gravitate towards my LBDs when I am in a hurry to get ready. 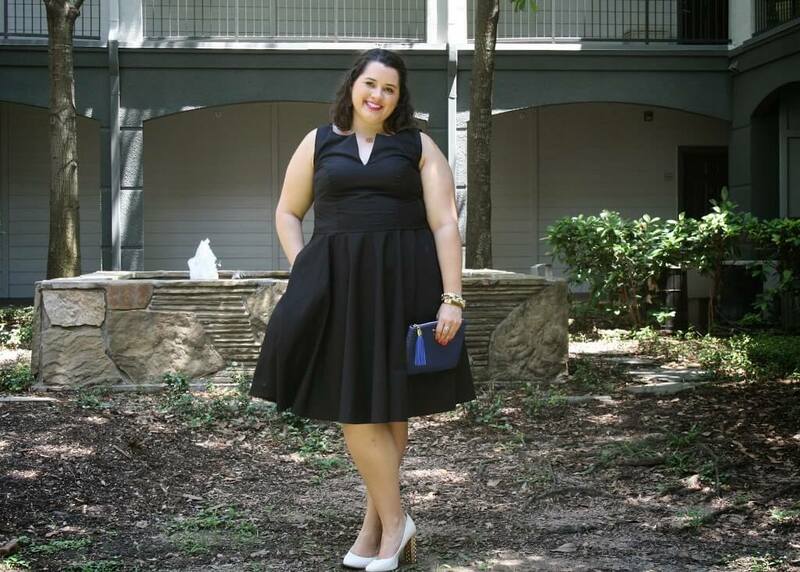 For the past few months, I have been on the search for a new LBD to add to my collection. 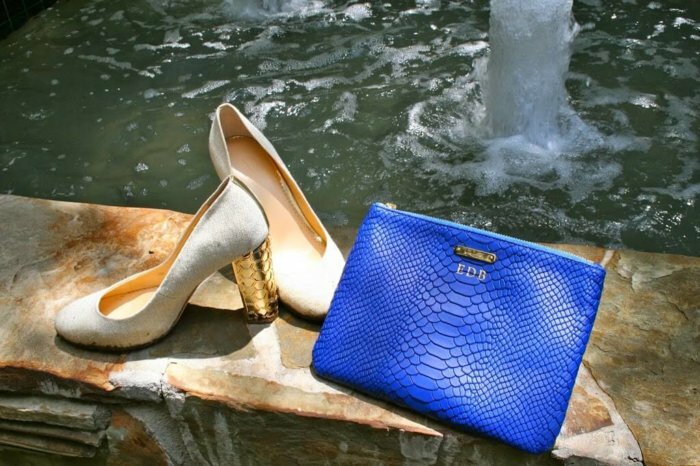 It needs to be comfortable, versatile and can be worn both to work and out for a night on the town. 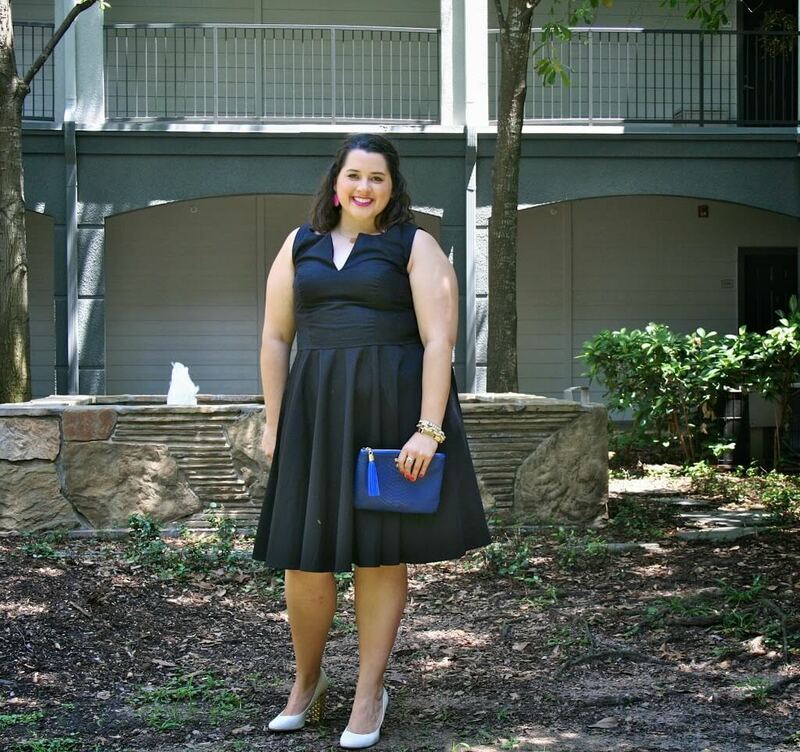 I was so excited eShakti approached me a few weeks ago about their awesome website and offered to send me a beautiful, custom-made LBD! 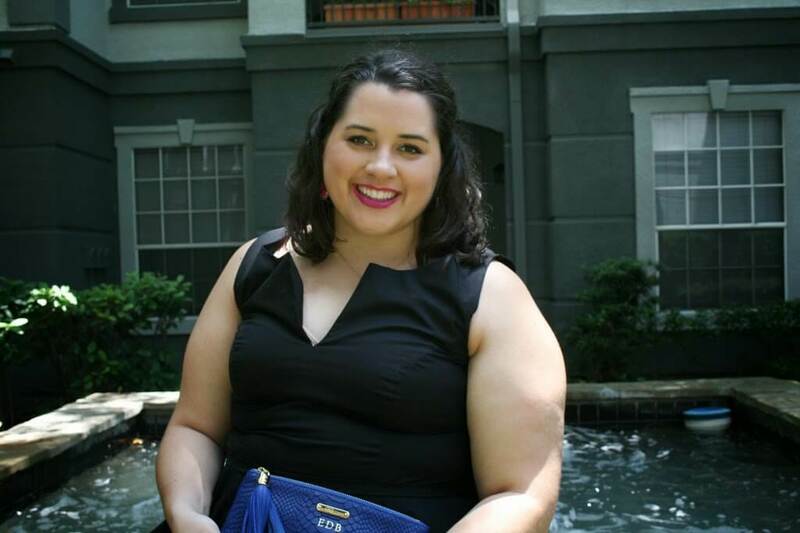 If you have not heard of eShakti, you should go check them out! They offer custom sizing, where you put in your measurements and they create an item just for you (another great thing is that if you order premade, they offer up to size 36W)!! You also can chose other options for your clothing, such as adding or removing pockets or sleeves. Also, eShakti asks you your height to customize the length of your item. I literally was on the website for hours debating on what to purchase- everything was so adorable and reasonably priced! 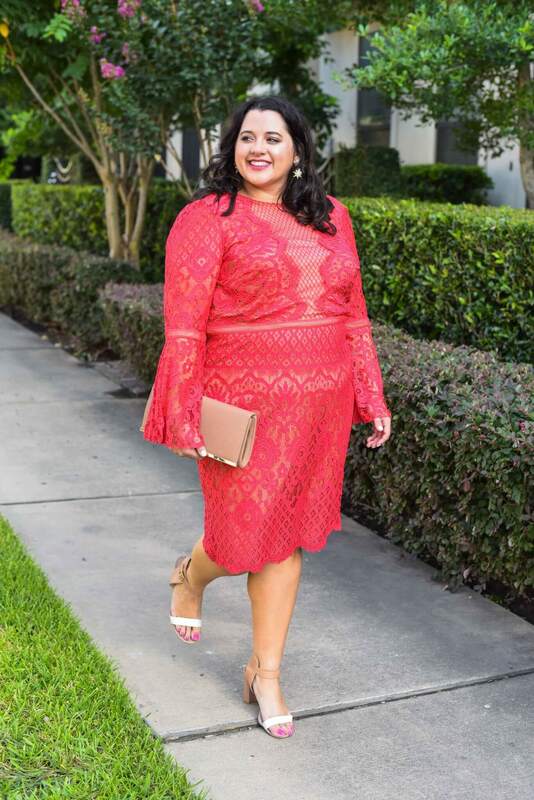 I immediately loved this dress because it was simple enough to be worn to work or to wear out for happy hour. Additionally, it has pockets!!!! I am always in need of pockets, especially on travel days because I need a place to put my phone as I walk through the airport. 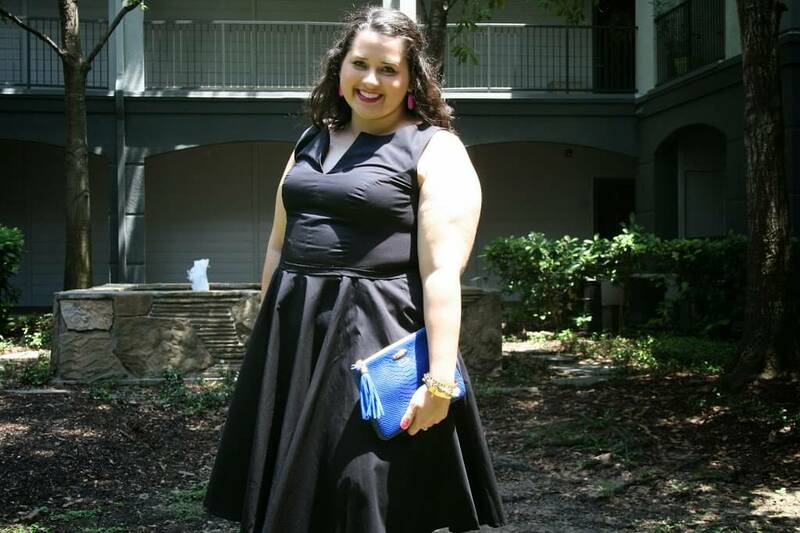 After providing eShakti with my measurements, my wonderful dress arrived about two weeks later. As soon as I put it on, I fell in love! It fit like a glove and truly was a dress made for me!! The cut flatters my top half and hides my not so lovely areas! 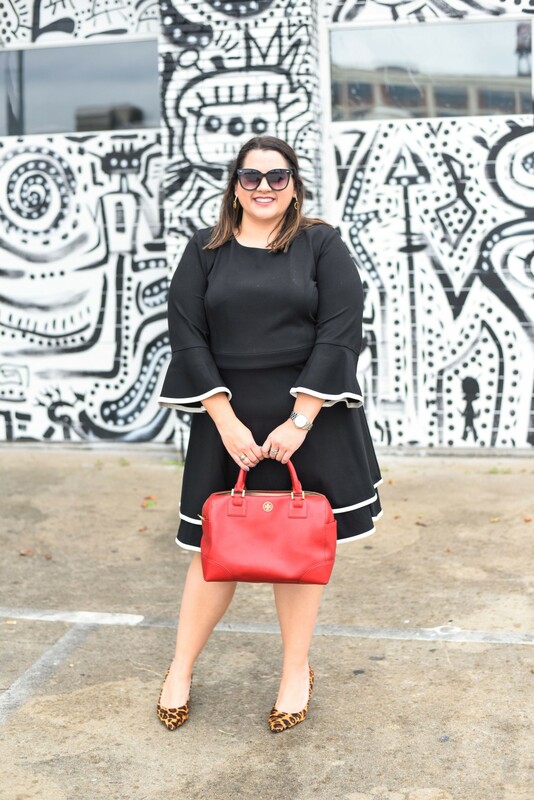 As I had hoped, the dress is great for work with a cardigan or blazer but can be worn out to dinner or drinks like I have pictured! I can not tell you how obsessed I am with this dress and know I will get a ton of use out of it. I am so excited!! 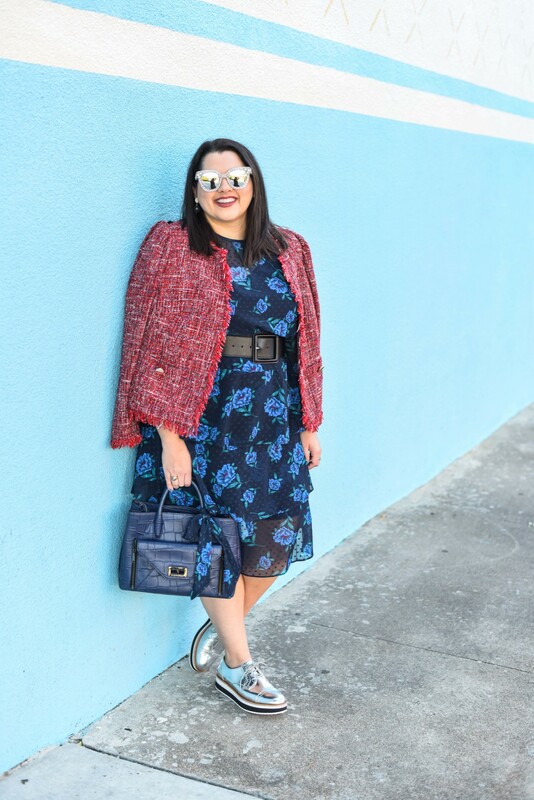 I purchased three more eShakti items, which should be here tomorrow! I can not wait! 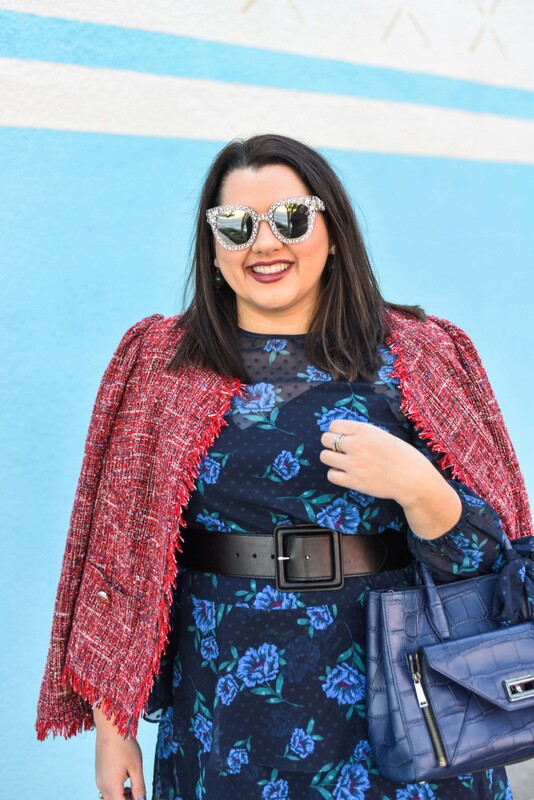 What’s your go-to clothing item? Hey, gorgeous! 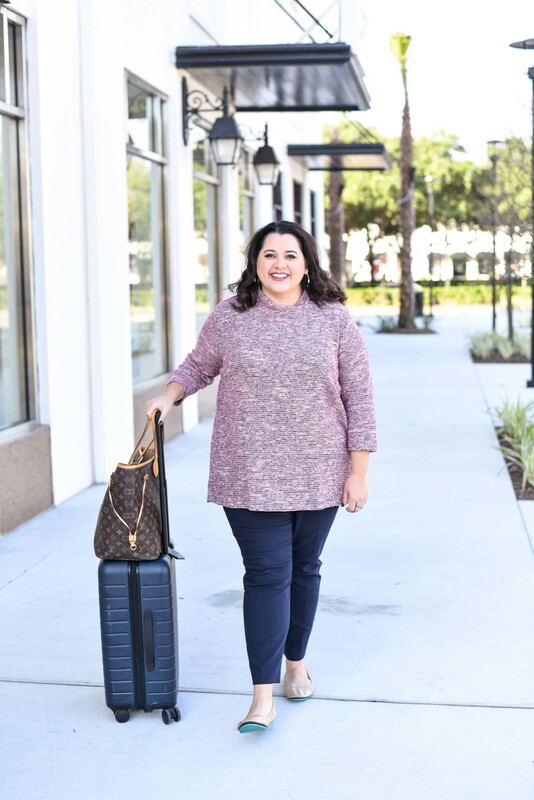 Emily, here - welcome to Something Gold, Something Blue where I share my love of plus size fashion, travel, beauty and everything in between! Sharing content/images from Something Gold, Something Blue is welcome and much appreciated! However, all content and images remain property of Something Gold, Something Blue. When sharing content from Something Gold, Something Blue, please include the link back to the original post. I love that dress! Gorgeous. Thanks Sara! I have worn it multiple times in the two weeks I have had it! I am totally obsessed! 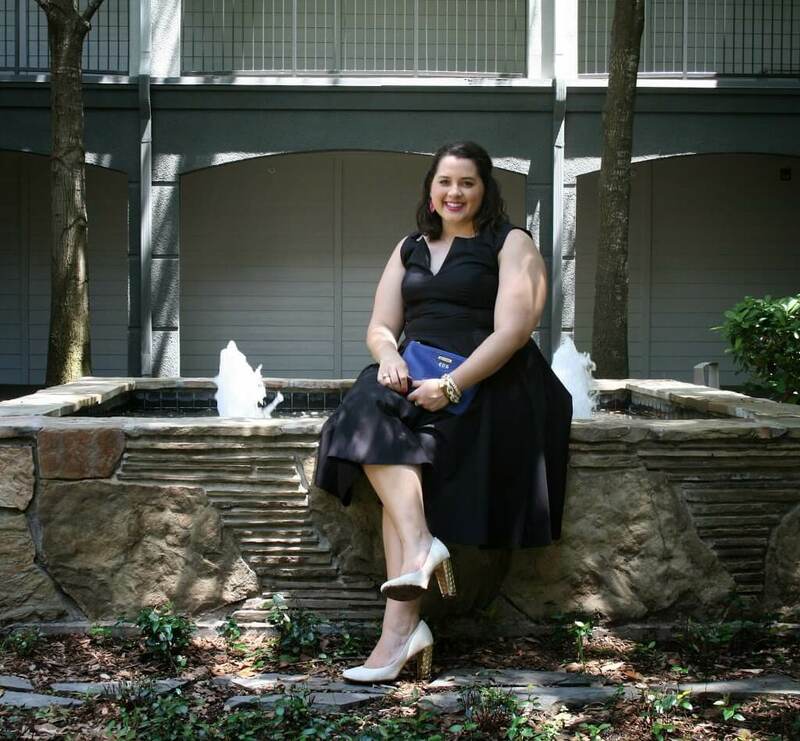 Something Gold, Something Blue is a premier destination for plus size fashion, travel, beauty and lifestyle posts from the perspective of a 20-something cybersecurity consultant based in Houston, TX. Sign up to receive monthly newsletters and sales alerts from SGSB.